The sound of laughter floated down the hallway at Airport Heights Elementary. 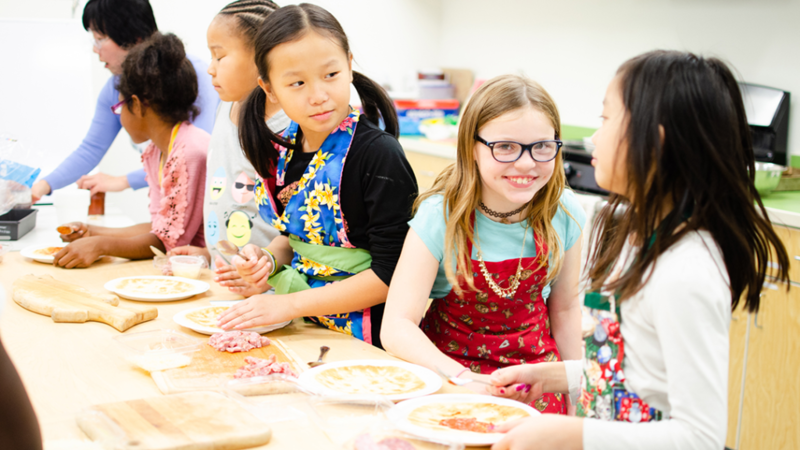 In the classroom kitchen, Community PLUS Schools students were participating in cooking club. I was greeted with big grins and welcomes. The students were clearly excited I was there, after all, they were going to be famous on social media. 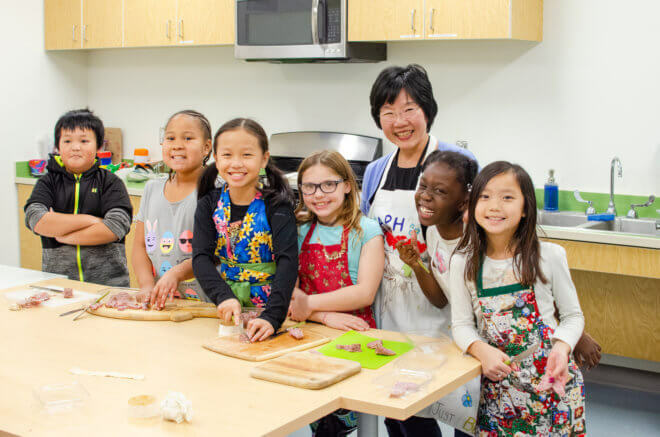 Ms. Ranee, the teacher overseeing the club, introduced me to the class and the cooking commenced. 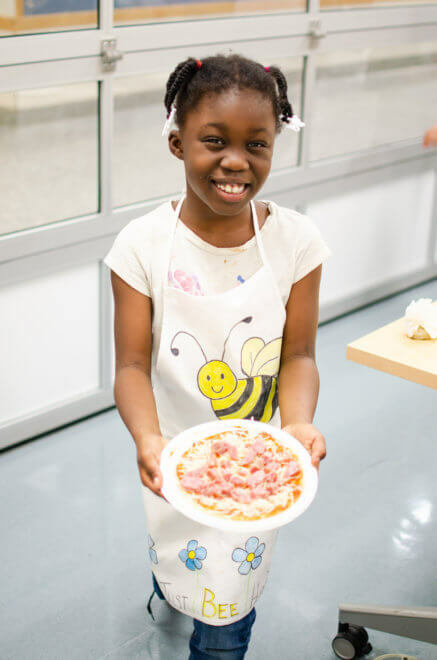 The students were learning to make personal pizzas. They were also learning life skills, what it means to work as a team, and most importantly, what it means to have a caring, supportive adult in their lives. Students do better in school and attend more often when they have strong connections to adults who care about their wellbeing and give them support and guidance. Ms. Ranee is that person. She’s gentle and firm. She is patient, and she expects the best of their behavior and attention. “1-2-3,” she said as the class became loud during sauce spreading instruction. “Eyes on me,” the kids chimed in. Then dead silence and laser-like focus as the kids watched her spread the sauce and studied her hand motions as she sprinkled the cheese on top. 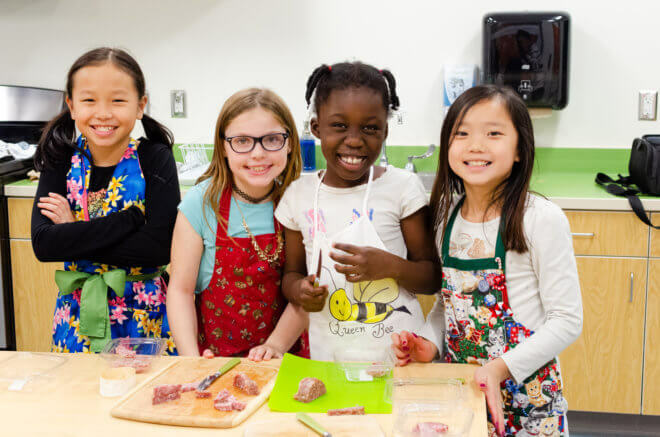 The cooking club is doing wonderous things for these students. They are learning how to cook and have appropriate social interactions. They are building self-confidence and being introduced to things they’ve never experienced. “These kids are from low-income families. When they go home, their parents aren’t home, and now they can cook for themselves, said Ms. Ranee. The students have fun in her classroom. They are happy when they’re there. You can see their joy. The social and emotional learning isn’t the only benefit. There are practical benefits as well. 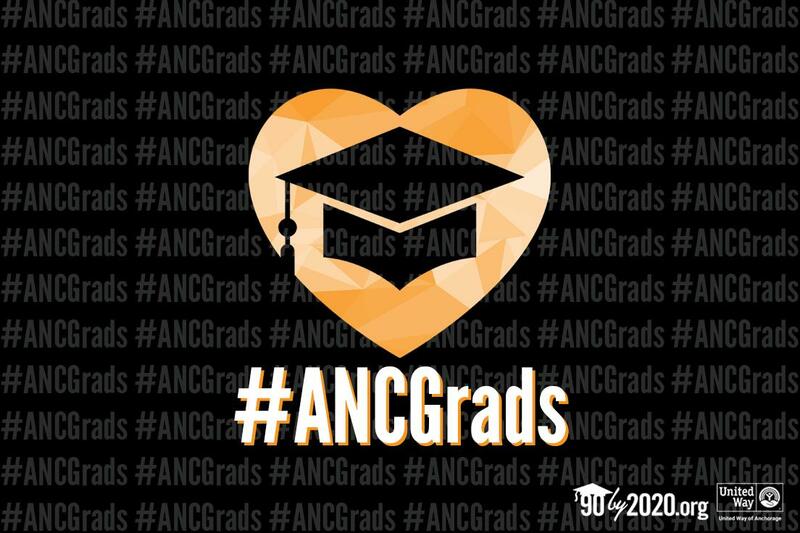 Many students have siblings at home and the club gives the students and their siblings a guaranteed meal to eat. A meal that they may not have without the club’s existence. “The kids want to take the food home to share with their brothers and sisters. I say, ‘well, you can eat it here,’ but no. They insist on taking the food home, even just a small piece of brownie,” Ms. Ranee said. “We have kids who have chaotic environments at home. Some of them have dysfunctional families, so they come to school with problems. I see them get better because they want to be in cooking club. “Their attendance is better because they want to come. I mean—it’s cooking! That’s why they spend a longer time at school. We have a good environment and we love them. I think they know that. I’ve seen it work. “They realize they have to be good to be in this club, and I’ve seen a huge change in their behavior and attendance,” said Ms. Ranee. With all the things these kids are learning, the key element of the program’s success is the connection Ms. Ranee has with the students. Ms. Ranee and other Community PLUS Schools teachers know the importance of that connection and honor it. Donors to United Way of Anchorage provided the $250 in grocery supplies Ms. Ranee needed to start the cooking club. She estimates this will last for six months and serve dozens of students. You have the opportunity to help fund more clubs like this at all our Community PLUS Schools. 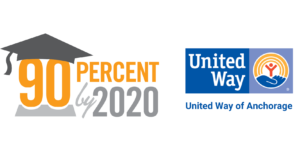 Community PLUS Schools is a 90% Graduation by 2020 initiative lead by United Way of Anchorage and the Anchorage School District. Teachers identify students who are missing too much school and refer the students and their families to a Community PLUS Schools Manager. The PLUS Schools Manager then works with community partners and the schools to get the students the support they need. Whether it’s access to an afterschool club, transportation, tutoring or school supplies, we are here to connect the right students to the right supports at the right time and keep them showing up for school engaged and ready to learn. Click here to discover more about the Community PLUS Schools initiative. Originally published on October 24, 2018.